HURRICANE – The Mojave desert tortoise has long been a source of contention in Washington County, at least insofar as it has taken preeminence over landowner’s rights. One landowner in particular has been waiting 17 years for a viable exchange of his property that was appropriated to the interest of the tortoise – and now, he faces possible opposition from yet another species territorial to the property he is considering for acquisition: the off-road vehicle community. Native to the southwestern United States and northwestern Mexico, tortoise populations have significantly declined since the 1980s due to natural predators and human threats; they are currently listed as a vulnerable species on the International Union for Conservation of Nature Red List. Conservation efforts in Arizona, Nevada and Utah gained significant traction in the early 1990s. In response, Washington County and the U.S. 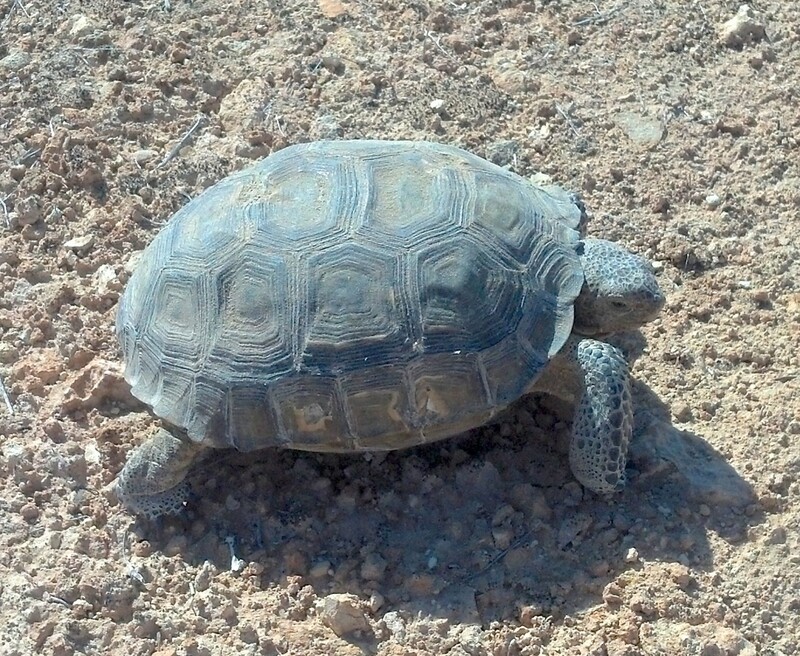 Fish and Wildlife Service began working together to protect the local tortoise population. The Washington County Habitat Conservation Plan, designating 62,000 acres of land expressly reserved for that purpose, was created in 1996. Once the HCP was put in place, all land identified as tortoise habitat was fenced and closed to any use, public or private. The majority of that land was owned by the Bureau of Land Management but some belonged to private entities, whose plans to develop were brought to an abrupt and irreversible halt. In the years since the creation of the HCP, those entities have exchanged their land for other property without environmental risk factors, either in Washington County or other parts of Utah, all except one. Land developer Bob Brennan owns 821 acres just west of Green Spring Golf Course in Washington City. Once prime residential property (its value is currently estimated around $55 million), it also has more sensitive tortoise habitat than any other area in the HCP. Brennan’s land has been effectively trapped for the last 17 years; he cannot sell, trade or develop, but has still been obligated to pay property taxes. Since September 2010, Brennan has been arranging a deal in cooperation with the Washington County Commission and the BLM to acquire a parcel of BLM-owned land. The deal would exchange Brennan’s land within the HCP for property equal in value – not size – that he could develop, most likely into a residential project. Brennan has identified six parcels in Washington County that he is interested in owning. Because the trade will be made based on the value of the land, he could acquire any number of them. It depends on the results of appraisals of each parcel, which are currently in progress. 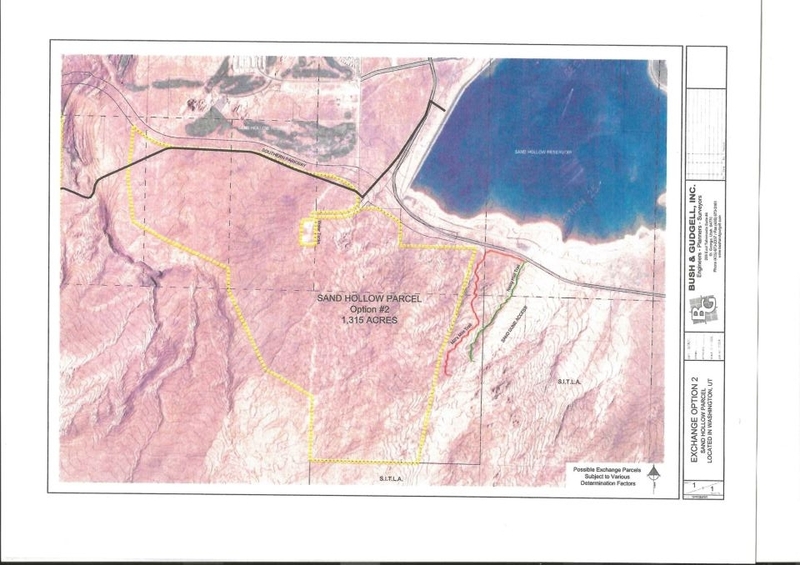 One possibility is an approximately 1,100-acre parcel of land located on the west end of the Sand Mountain Open OHV Area in Hurricane, a popular recreation spot for off-road enthusiasts. The parcel constitutes about five percent of the OHV area but does not encroach on any of the popular trails or accesses, Brennan said. Nevertheless, the possibility of a private landowner taking a portion of public land specifically designated for off-road recreation has raised hackles among the off-roading community. The OHV area consists of 21,412 acres of recreational land, designated in 1999 through a BLM Resource Management Planning effort and co-managed by the BLM and Sand Hollow State Park. Just over 47,000 visitors used the area in 2012, BLM field manager Jimmy Tyree said, contributing more than $2 million to the Washington County economy. Many local businesses, especially those specializing in off-road products and services, thrive on the tourism the recreational trails attract. The deal is still far from completion. Once the appraisals are done and Brennan chooses his parcel or parcels, the deal will be compiled into a bill for the state legislature, a three-to-five year process. Gardner said that the county commission will endorse and help pass the bill into law; if it does, the BLM will see the exchange through. Let Bob develop his land, scale back the turtle reserve and let us keep out open land. It’s that easy we have closed off a huge area of land for a turtle not even native to this area. If this passes through, how long until the county sells off more and more of it until its gone. Lets stop this now before we lose any more land in Washington or Kane counties. Of course Mr. Brennan needs and deserves to get the land trade completed. But why would the County Commission even consider offering Brennan property that is already a designated OHV area? Sand Mountain OHV Area should not be available for any land swaps. It is a unique attraction, there are no other comparable places in the state for off-road vehicle use. That’s why it gets 47,000 visitors a year, many from Las Vegas and the Wasatch Front. I think that $2 million per year in economic impact is a very low estimate. The County Commission needs to reconsider this transaction. While the tortoise population has been augmented by released tortoises, they are certainly native to this corner of the Mojave Desert. Mojave species include the Joshua Tree, Creosote bush, Gila monster, sidewinder rattlesnake, and desert tortoise. All of the Mojave species are native to the area of St. George. I’m proud to live near such an amazing animal preserve, not only home to tortoises but other species of animals as well. From the 200W side, near the dog park in Hurricane, small deer have been seen grazing. There are eagles, hawks, owls, little scurrying things (sorry, I’m a former city dweller), unusual plant life and probably more. This poor land owner deserves relief, absolutely. Can’t we understand, though, that the majority of Hurricane residents depend on those un-scarred green zones (the hills that surround our city basin) not only for our own enjoyment but also part of our own property values? It’s the reason my family has purchased multiple properties in Hurricane City. I don’t want to see trails all over the hillsides or hear screaming ATV’s echoing through the canyons. Please put the OHV”s out in the middle of no-where and leave the conservation area intact. And no one is asking for the Red Cliffs Reserve to be undone, that is not legally possible anyway. Like it or not, it’s here to stay. 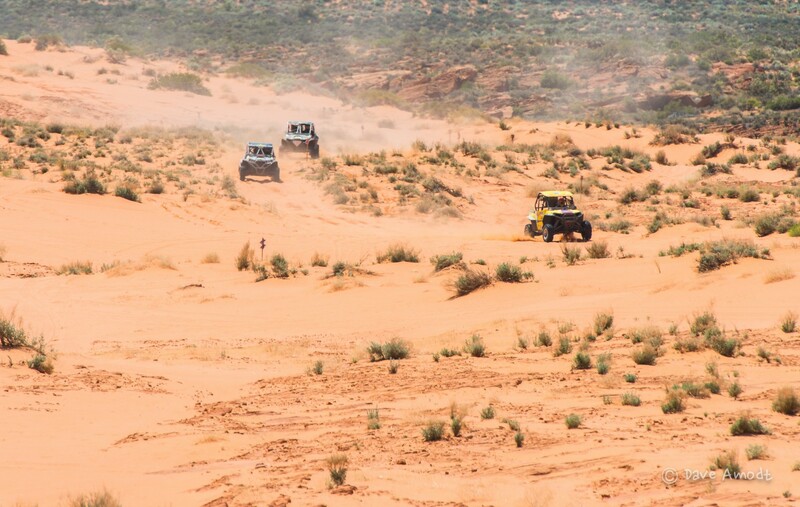 There are very few areas in Utah that are classified as “Open OHV.” Sand Mountain is one of the most popular. It is heavily used, both by locals and by tourists who come here specifically to use their 4x4s and ATVs in this area, where it is both legal and a lot of fun. The question is about the County Commission’s logic in proposing a land trade for an area that is already has an OHV designation, and is so popular and heavily used . The great thing about the Sand Mountain OHV area is that most people who don’t use it don’t even know it’s there. It’s up on the plateau between Sand Hollow reservoir and Washington, and bordered on the south by the cliffs overlooking Warner Valley. So it’s already well away from any residential areas that might be impacted by noise and dust. I agree that the land owner needs compensation for his “seized” lands. But now he wants to build residential out where “the ATVs roam?” Come on, that is as dumb as the idiots who are going to put “St. George’s Newest Retirement Community” right next to the brand new airport. There will be noise complaints from residents in both areas, because if you build it, people will be stupid enough to buy and live there. It is time the county and cities exercised a little common sense when it comes to allowing development any and everywhere. Seems to me that the land swap deal is heavily skewed in Mr. Brennan’s favor if part of the OHV park is in the offer. With the new road going in out there the potential property value is going to raise dramatically. The road is basically a highway that Mr. Brennan will have property on/next to. The appraiser needs to factor that in. I sympathize with Mr. Brennan but believe he is taking advantage of the situation and trying to get things pushed through. I believe Mr. Brennan is probably a savvy business person. Give him several parcels, possibly even in excess in value to what was taken from him, just don’t take away from the rest of the citizens and others who frequent the area to enjoy our OHV park. Catering to one is not the way to go. Don’t know who figured that this wouldn’t be interfering with any trails in the ohv area, but I can tell you that it WILL eliminate trails and very popular one at that. I do understand the land swap. But i don’t understand why we are giving up land that is regularly used by the ohv community. There is plenty of land out there that cold be used for the swap instead of the public land that is used regularly. For the record, the land out there used to be “the middle of no-where” the city and all of the development has encroched on it. While I feel for this land owner, there is so little open OHV area left in the state, we need to hold tight to the little we have! Why don’t they get the animal rights groups to just pay him off and leave the land undeveloped. After all it was the turtles that took the land in the first place. Then we all would be happy. The landowner would be justly dealt with, the OHV people would still have a place to go, and the turtles are happy in their reserve. Shouldn’t this have been dealt with 17 years ago? Why doesn’t the county pay for the land that they illegally took, then let Mr. Brennan buy his land through the right channels like private owners, realtors, and BLM auctions? How would it be fair for the city to take my land to build a road, then tell me I could chose from city owned property including that nice shady park where the playground is? Did not see this article when it first came out and just chanced upon it. It’s important for people to understand the history behind the land Mr. Brennan owns in the desert tortoise habitat (Reserve) and the iterations that have occurred over almost 20 years since the Reserve was established to buy out the land owners. The Reserve was established to set aside 62,000 acres of habitat to allow development to occur unfettered on about 300,000 acres of Washington County land. Jim Doyle, who owned the land originally and has pushed for being paid much more than many feel the land has ever been worth, was a member of the original board that established the Habitat Conservation Plan. He did not go into this arrangement blindly. He and Mr. Brennan came to a deal on part of his land in the Reserve and now Mr. Brennan is trying to make his own deal to do a swap. Mr. Doyle was, according to Congressional testimony, offered about $25 million for his land many years ago, but that was apparently not enough. Mr. Brennan noted at a Habitat Conservation Advisory Committee meeting a couple of years ago that the property had been appraised at $140 million, but because of the recession, he’d “settle” for half that, around $75 million. A figure that’s never been firmly established. These guys are speculators. It seems to me that if Bob Brennan gets his land on this deal, Jim Doyle will be close on his heels to get his speculative needs met. So, stay tuned for phase two of the land swap. And, where will the riders go when their current area is turned over to developers? Will they be riding wherever they want? Not a good plan.